So I spent a considerable amount of time playing with this recipe until I made something that was worthy of a cookie exchange or holiday party. 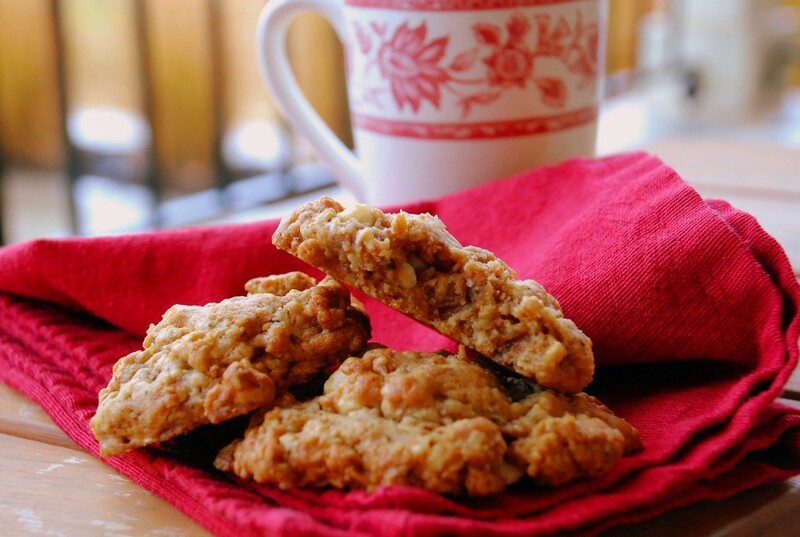 Buttery, toasty, spice-scented with hints of white chocolate…these are my favorite oatmeal cookie to date. Do not skip the toasting-the-oats step. It’s a dealbreaker in these. If you can’t Biscoff cookies, sub any spice cookie. Lightly toast your dry oats by placing in a large frypan over medium heat; cook about 4 minutes, stirring frequently, until oats turn golden and become aromatic. Remove from heat and cool. Use an electric mixer to combine butter and sugar. Add egg and vanilla, mix until combined. In a separate bowl combine flour, baking soda, salt and Biscoff crumbs. Gradually add flour mixture to butter mixture, beating just until combined. 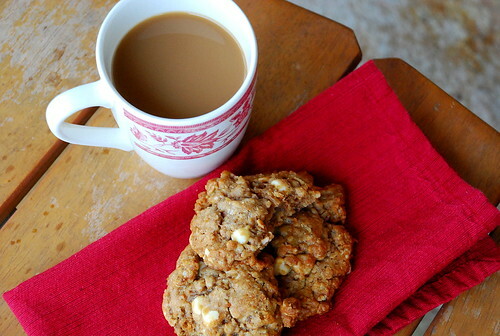 Stir in toasted oats and white chocolate chips. Chill 30 minutes (up to overnight). If chilling overnight, let sit on counter for 10 minutes or so before scooping. Drop rounded tablespoons of dough onto cookie sheet Bake 10 minutes or until barely golden brown on the edges. Transfer cookies to wire racks to cool.